Ergotech: ErgoExpo NECE Show Announcement! Come see Ergotech Group at the upcoming ErgoExpo…for Free! 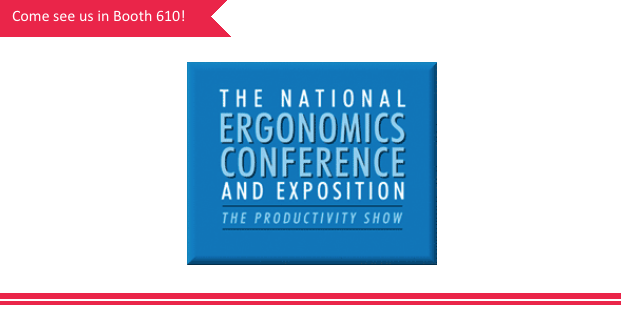 We are so excited to be a part of the NECE ErgoExpo show this year, and we hope to see you there! We’ll be showcasing the all new Freedom Sit Stand as well as the VersaStand tablet desk stand and our exciting Freedom Arms for PC/Mac. Contact us for free Expo passes, and don’t forget to swing by Booth #610 for product demos and to sign up for our contest giveaway! Our knowledgable sales team will be available to chat. Check us out at www.ergotechgroup.com for more info! © 2014 Ergotech Group, Inc. All rights reserved.. Travel theme. Powered by Blogger.